Submit to a background screening for people over the age of 18. A reference screening will be conducted for people under the age of 18. Help people explore hidden artistic talents and express themselves through art! Volunteers provide assistance to individuals as they develop their artistic skills. An annual art exhibit will be held at the end of the session to display the artwork. The Next Chapter Book Club provides adults with disabilities the opportunity to read, learn to read, talk about books, and make friends in a fun community setting. 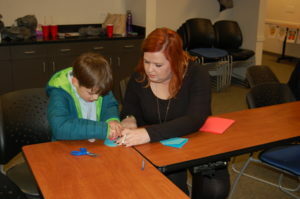 Volunteers have the opportunity to facilitate reading for individuals of varying abilities and engage readers in conversations about the book and relate to similar experiences. Book Clubs meet in four locations: Ladue, Crestwood, Chesterfield, and Des Peres. Volunteers are needed to assist bowlers with score keeping, order of bowling, communicating equipment problems to Program Leader or bowling alley representative, and having fun! Volunteers are needed to lead pre and post walking stretches and to explore various St. Louis area parks with participants. 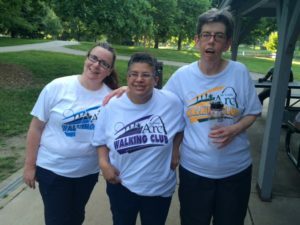 Last year, the St. Louis Arc Walking Club took over 600,000 steps! That’s about 300 miles! Participants with intellectual and developmental disabilities enjoy hands-on experience in the kitchen, while learning how to prepare easy, delicious meals. An experienced cooking instructor will assist participants in preparing tasty dishes. Volunteers will assist the instructor in teaching adults with disabilities, age 16 and older, how to cook a variety of recipes. 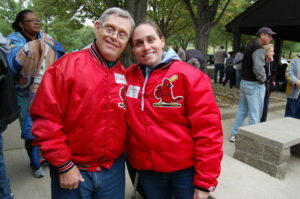 Assist people of all ages with intellectual and developmental disabilities as they attend exciting recreational events in the St. Louis metro area. Catching a movie, exploring Forest Park, attending sporting events…the St. Louis Scene is out and about! Volunteers will set-up, check-in participants, provide social supports, and participate in the activities alongside the participants. Sibshops offers an opportunity for brothers and sisters of children with intellectual and developmental disabilities to get peer support and education within a recreation context. The program includes a fun mix of games, activities, friends, and discussions. Volunteers are needed to lead activities, games, and discussions. Come help with a once monthly Teens’ Meet-Up Group for teenagers between the ages of 13 and 22 of all abilities! This group is for teens who want to socialize and make connections while engaging in social and recreational activities. Activities may include karaoke, board games, Wii, and team sports. Volunteers will assist and participate in the activities. Dances are for adults 18 years and older with intellectual and developmental disabilities. Volunteers will set-up, check-in dancers, collect money, serve refreshments, assist people with the food line, and clean-up. During the dance, volunteers are encouraged to socialize and dance with participants. 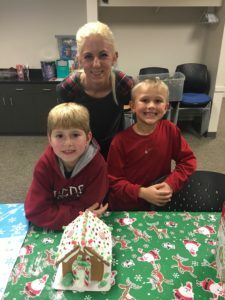 Family Fun Nights are an opportunity for families of people with intellectual and developmental disabilities to enjoy family-friendly activities. Volunteers are needed to assist with activities, ranging from games to arts and crafts to movie-watching. Volunteers will also assist with serving food and handling money at the concession stand. For additional opportunities contact the Volunteer Manager.